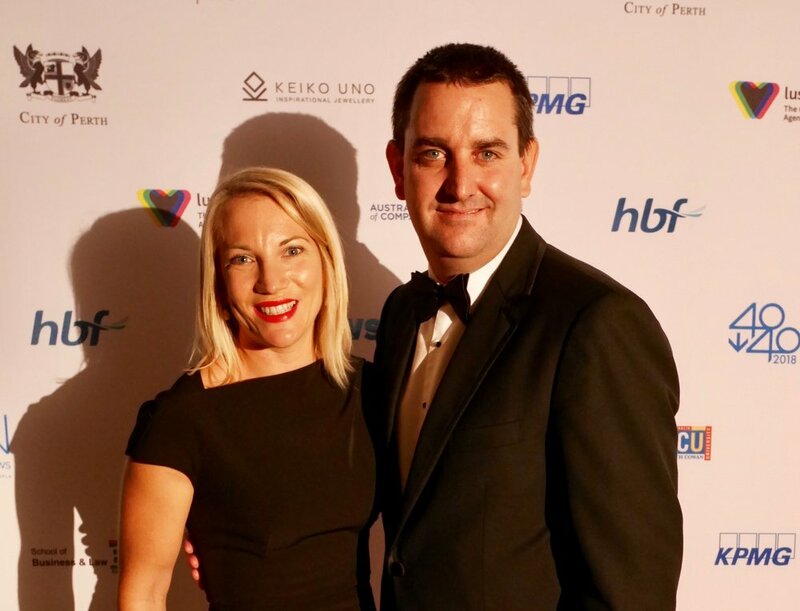 It was all gold at the 17th Business News 40 under 40 Awards last night with Gold Industry Group Vice Chairperson and Gold Fields Vice President of Legal and Compliance Kelly Carter and Saracen Mineral Holdings Managing Director Raleigh Finlayson both taking home awards. 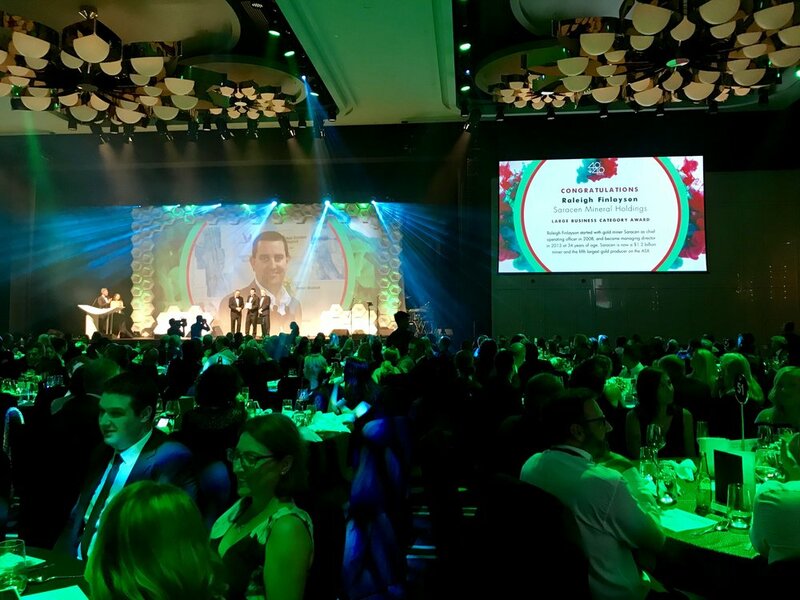 Mr Finlayson took out the top honour, named First Among Equals ahead of a diverse field of more than 100 of WA's young business and community leaders, as well as the large business category. Mr Finlayson started at Saracen as Chief Operating Officer in 2008, before becoming Managing Director in 2013 at 34 years of age, reported Business News. He has since transformed Saracen from a small miner into Australia's fifth largest gold producer. Mr Finlayson is also active in the industry and community in his role as the WA School of Mines Alumni President. Ms Carter was honoured to be recogised and congratulated Mr Finlayson on a well deserved achievement. “I am honoured to have been recognised in the 40 under 40 awards, amongst such an impressive field of finalists who are leading the way in their sectors and communities. "I am extremely grateful for the support of my colleagues at Gold Fields, the Gold Industry Group, and the broader resources sector, and I hope this serves to encourage others to recognise the achievements of those around them,” Ms Carter said. “I was absolutely delighted to see that the gold sector was again represented in the First Among Equals award – a well deserved win for Raleigh Finlayson,” Ms Carter concluded. Ms Carter was the first female and youngest Vice President at Gold Fields, the world's seventh largest gold producer. She is also plays a key role in the company's operational performance and strategy as a member of Gold Fields' regional executive. Ms Carter has a passion for improving female participation in all areas of the business and the industry through her role as Vice Chairperson of the Gold Industry Group. 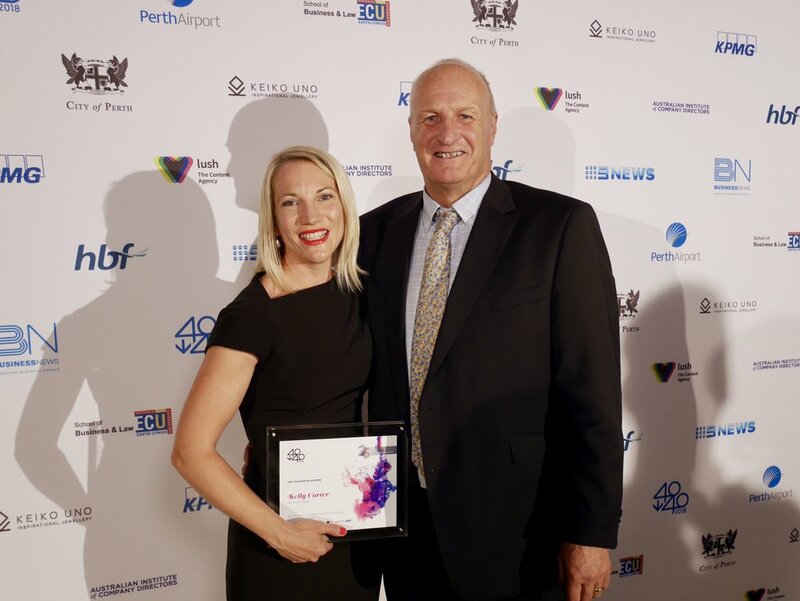 Last year she devised and chaired a diversity debate which is fast becoming one of the largest and most influential gender diversity events in the mining industry on the Perth calendar. This year's event saw more than 600 people pack out the black tie gala celebration held at the Crown Ballroom.